You can share your devices with MaidWhite through your FamilyAsystPlus app and pair the devices with Echo through Alexa app. To use this skill, you need an app called FamilyAsystPlus, a MaidWhite account and at least one smart home appliance supported by MaidWhite. You can check if your smart home appliances are supported by MaidWhite on: https://www.tih.tw/supported-brands. You can download FamilyAsystPlus app from either Google Play or App Store and sign up a MaidWhite account in this app. First, open FamilyAsystPlus and register an account (if you already have an MaidWhite account, which is the same as FamilyAsystplus account, skip this step.) Second, sign in, then tap Cross-Brand Account, Manage Devices. Third, choose the brand of the device you want to control through Alexa. Take FamilyAsyst AiPlug for example, tap the logo of FamilyAsyst, enter your phone number and choose the device. 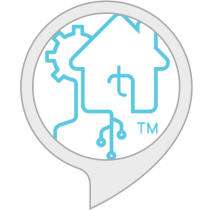 When you finish doing these steps, you can control the plug through Alexa after enabling this skill.